If you know me, you’ll know I love to talk all thing hair, especially curly hair. In my family, we have four different textures. My daughter wonders why her hair isn’t like mine. She’s got looser curls (more like waves) than mine. She and I could totally relate to Mira’s story. If you’ve never read my natural hair story, I’ll tell you in short. I went natural to empower myself and my children. My mission was to learn how to care for natural (curly) hair and enjoy being my natural authentic self in the hope they would love themselves too. Mira’s story is about more than hair. The book was sent to me by the publishers, Lantana Publishing for the purpose of this review. Mira’s Curly Hair is a journey to self-discovery and self-love. It’s not often I see books with a cover that feature’s brown beauty and big hair! The cover and the title caught my attention immediately. I knew I had to read Mira’s Curly Hair to my kids. Mira’s world is big, bright and colourful. The middle-eastern landscape really pops in this book. It was a treat to see a variety of skin tones, colourful non-westernized clothing, the textures and glorious flora. Her world was a delight for senses. Mira tried everything to get rid of her curls, including standing on her head. Then one day, something surprising happened that leads to both Mira and her mama embracing their curls. 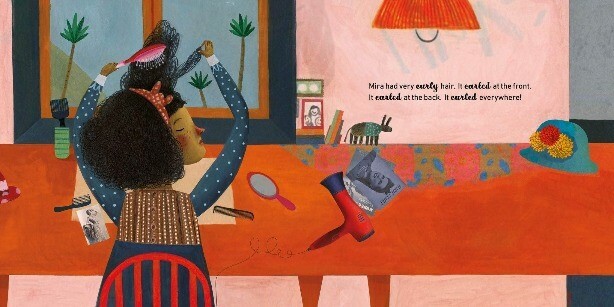 My best bit: I was moved by Mira and her mama both going out and about rocking their curly hair. 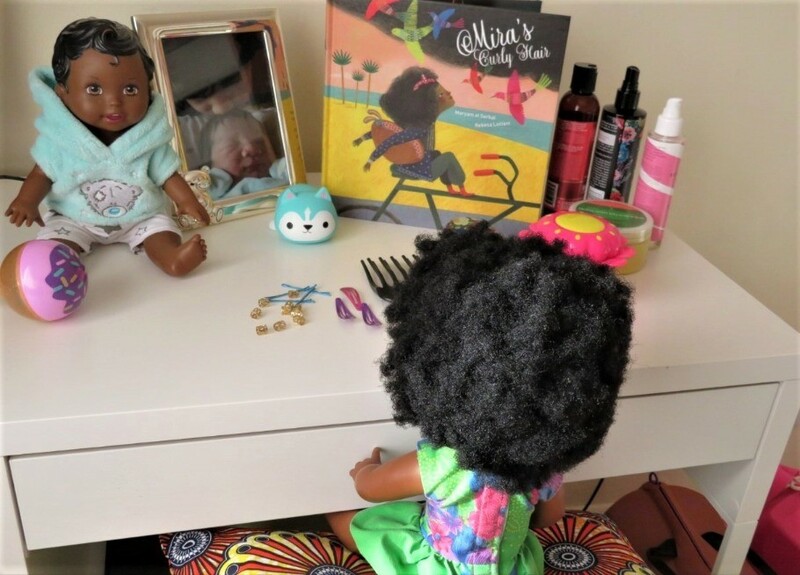 Mira’s Curly Hair is the ideal book for any lil naturalista who’s struggling with her hair. Grown-ups and little ones will take-away a valuable life lesson. The greatest love is loving yourself, that’s Mira’s gift to us. Visit Lantana Books for further details on Mira’s Curly Hair and other books.